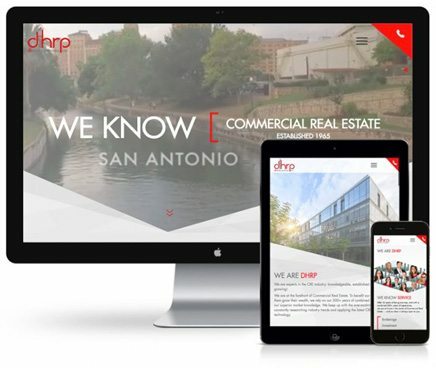 As a web design and development company located in San Antonio, we understand the value of your marketing dollars, and how to effectively transform your website into an SEO friendly workhorse that can give you an advantage over your competition and present your company, products, and services professionally and relevantly. Your website needs to be a well thought out and designed user experience to stand out in the crowd. We specialize in web design services and digital marketing solutions to help achieve your business objectives. Never canned, we plan, design, and develop custom websites with good SEO practices that can grow and transform as your business does. 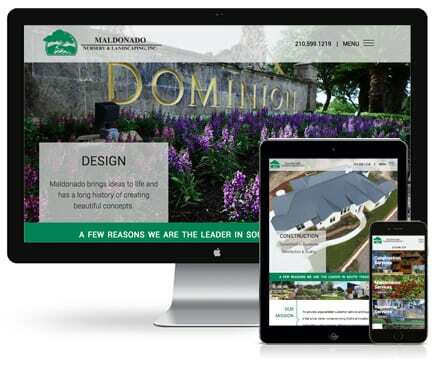 Maldonado Nursery came to us needing a revamp of their dated website. After extensive planning, we were able to exceed their expectations. Within a few days of launching the traffic increased and quote requests were up. Brake Check is a San Antonio Car Maintenance Company. They came to Benson Design because they wanted to revamp their existing web presence and make it easier for their clients to book appointments online. DH Realty Properties was in need of a completely new look and mobile-friendly website that allowed for greater user interaction and a simplified property search feature. 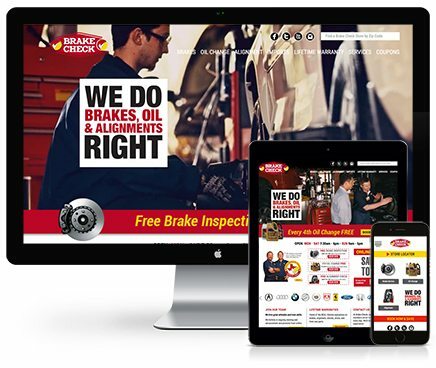 Benson Design delivered an award-winning site. 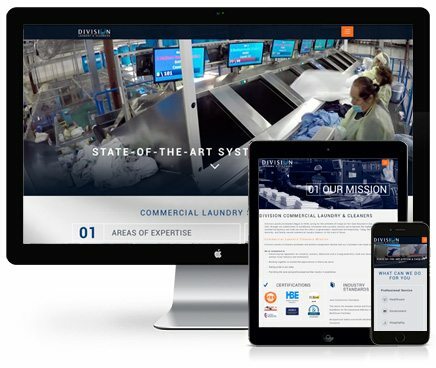 Division Laundry needed us to create a new website that would capture the new direction the company was taking. We not only made their site mobile friendly but we have also optimized it for better SEO traffic, in turn, creating more opportunities. New Earth Compost needed to stand out from their competitors in a big way. Benson Design designed and developed a cleaner and more user-friendly responsive website that showcases the products available to consumers. 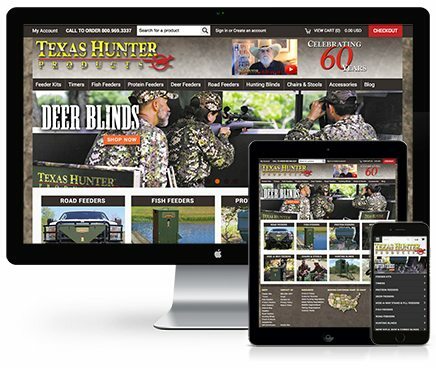 Texas Hunter came to us with a vision of where they wanted to be in the industry and who their main competition was. We not only have helped them with their goals but have also created some great design pieces in the process. 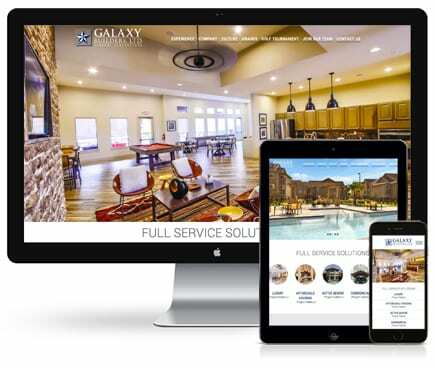 Galaxy Builders needed an overhaul of the website we had previous created for them. 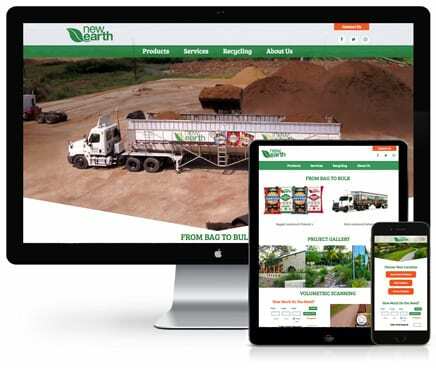 With a mobile first design approach, we came up with a user-friendly look and feel that really showcases their construction and design capabilities. 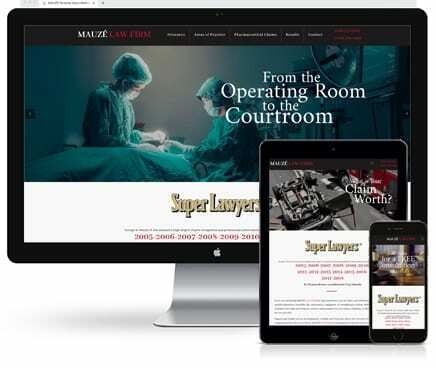 Mauze Law firm was in desperate need of a website that focused on their courtroom capabilities. We were able to come up with a responsive look and feel that created a great user experience and in turn an increase in clients. 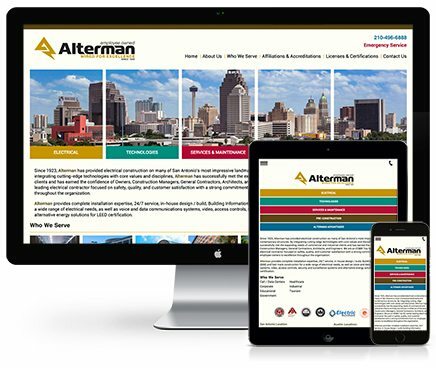 Alterman wanted a new website that would be responsive, easy to navigate and be found easily through major search engines. Working with their management team, Benson Design developed a unique site that all were pleased by. 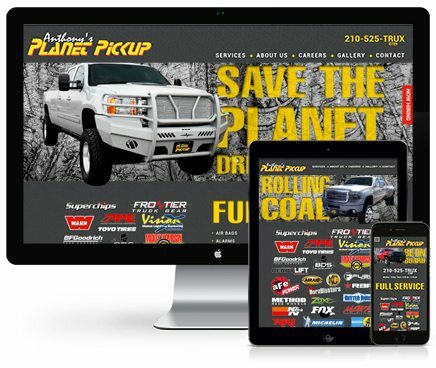 Planet Pickup needed to update their existing website and stand out from their competition. They also needed a structured way to showcase all their services and allow end users to access the products that they offer. 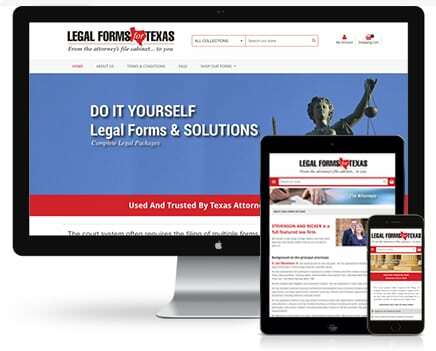 Legal Forms for Texas wanted a website that would allow for anyone to search, find and purchase any legal form used in Texas. Utilizing the Shopify platform, Benson organized, designed and built an easy to navigate website that provides a reassuring user experience. 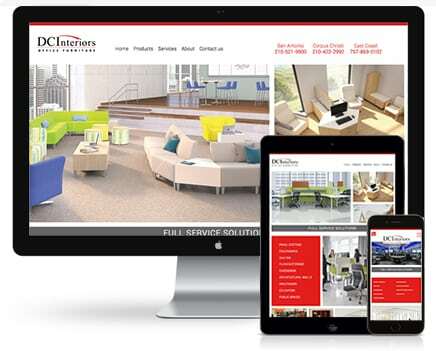 DC Interiors needed a fresh, modern website to showcase their products and appeal to a broad audience. The site is image-focused, easy to navigate, and has just the right amount of movement to keep users engaged. Since launching, user engagement has noticeably increased.